I got over a foot cut off my hair! OMG! That’s right, you guys…I did it! 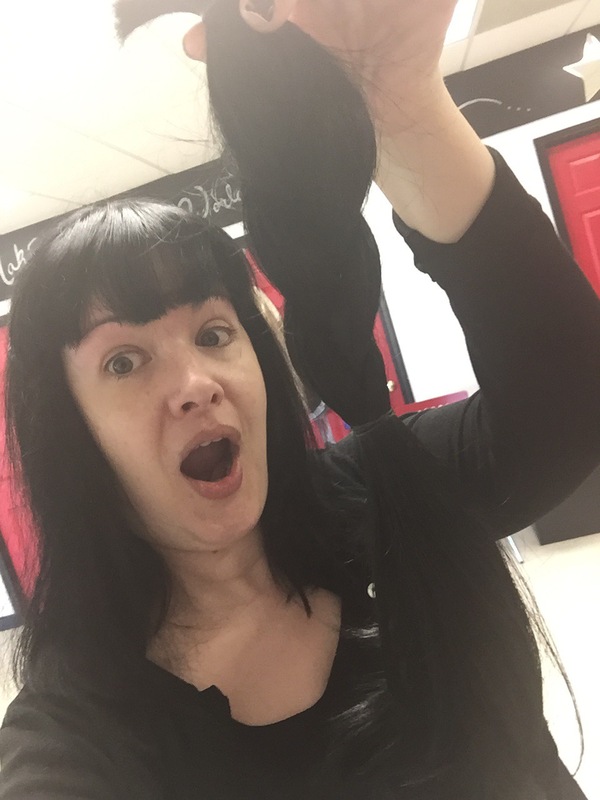 At my hair salon I found out something awesome – I was cutting enough length that I could donate to a wig charity! AWESOME! I didn’t set out originally to do this, but I always thought it was such a great idea. Here I am with my 14 inch braid!! Even with having a 14 inch lop, I still have a long bob. I love the way my stylist razored the ends a bit! It looks best straightened, so I will have to find the very best heat protectant (suggestions welcome – I have very fine and limp hair). It’s amazing how much easier things are now! Washing hair is easier. I don’t have to put it up in a clip when I condition it in the shower (which weighs a ton). I don’t have to wait 6 hours for it to dry (awful in the winter). My husband doesn’t roll over on it at night! My cats don’t sleep on it. It doesn’t land in my food, get caught in my coat, purse strap, seat belt…I could go on, but you get my point. Best thing is, I think it is helping the slightest bit with neck pain. I will always get migraines, but at least I won’t have ten pounds of hair to wrangle while I have them. I haven’t sent my hair yet, but I think I have my choices narrowed down to Wigs For Kids, Pantene Beautiful Lengths, or Children With Hair Loss. I’ll come back and update what I decide. Have any of you ever donated your hair? 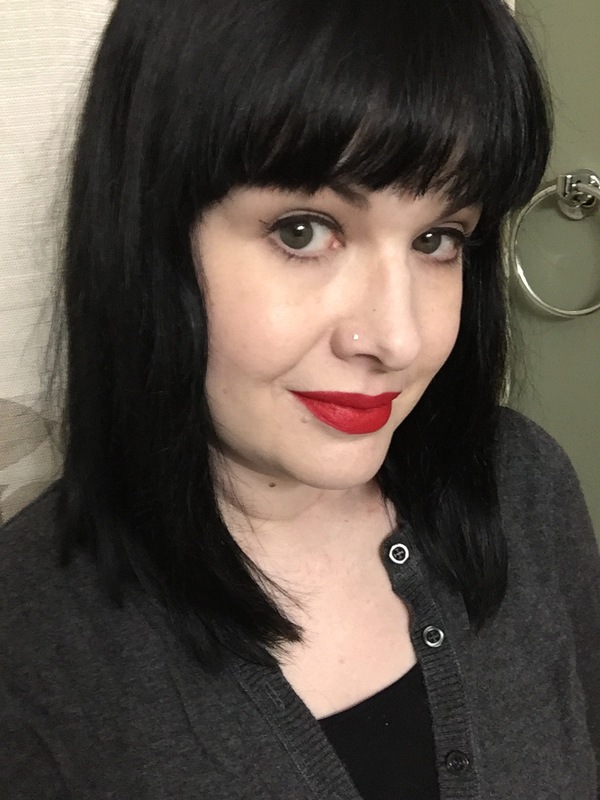 This entry was posted in beauty blog, beauty blogger, Hair, Hairstyling and tagged beauty, beauty blog, hair, hair cut, hair donation, lob, lob hairstyle, long bob, wig donation by Rachel. Bookmark the permalink. Wow! You look amazing! 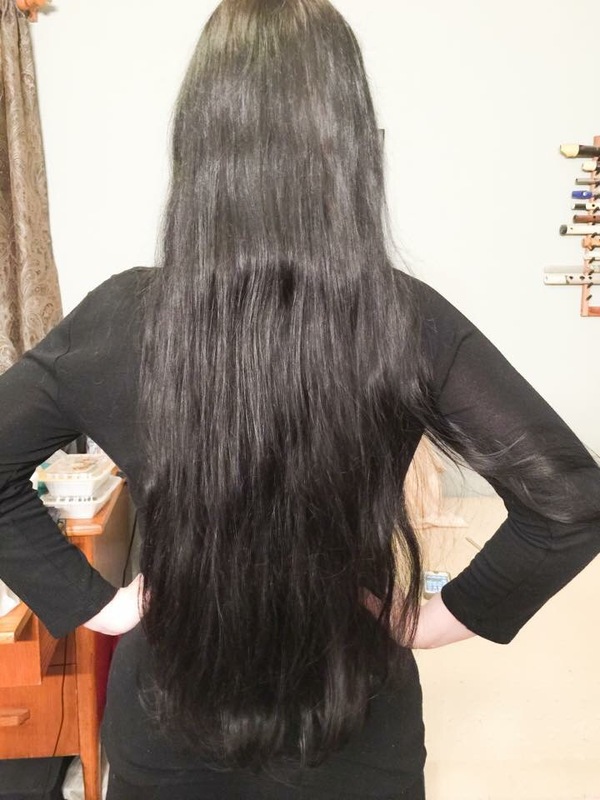 I donated my hair once before and it feels so great to do! That’s awesome! I’m so stoked to be able to do this!